Do You Love Your Commute? Usually folks exclaim, “And you think your commute is bad!” and then explain how theirs is even worse. Rarely do they talk about how they enjoy their commute. Jenny Pulsipher, a history professor at Brigham Young University, does. She loves her commute. Well, that may an exaggeration. 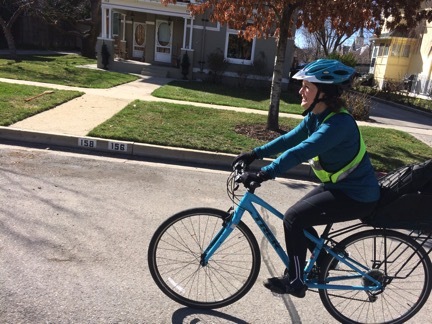 She loves the part of it on her 13” teal Trek FX3 commuter bicycle, which make the other modes—on a train and plane, which are more much more productive than if she were behind a steering wheel—bearable. “First, wasting time drives me absolutely crazy. I was losing two hours a day to the commute to and from Salt Lake City. When I arrived at home, I was frazzled and behind in my work and still hadn’t exercised. By biking to and from the train station, I got good exercise, and I found that my time on the train was some of the most productive time of the day. It’s comfortable and quiet, and I quickly developed a pattern of spending the whole hour intently writing. I look forward to it, and I enjoy biking on either end. Second, I hate driving. It’s either stressful, which makes me tense, or boring, which makes me fall asleep. I’d rather not die on the road (or kill someone else), so commuting seemed like a really good idea. Sunday night: Leave for Burbank airport at 3:30 PM (just 20 minutes away). Plane departs at 4:35. Arrive SLC airport at 7:30 PM, daughter or son-in-law (who live in her SLC house) pick her up and take her to her home, and then she does the bike-train-bike commute beginning Monday morning. 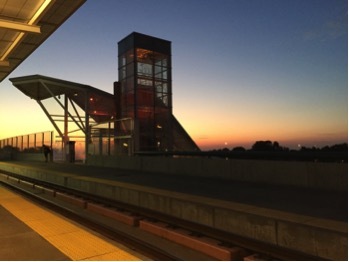 Monday morning: Leave LA home between 4:30 and 4:40 AM, catch ride to Union Station, take 5:00 Flyaway Bus to LAX, catch 6:15 AM flight to SLC airport, arriving at 8:45. 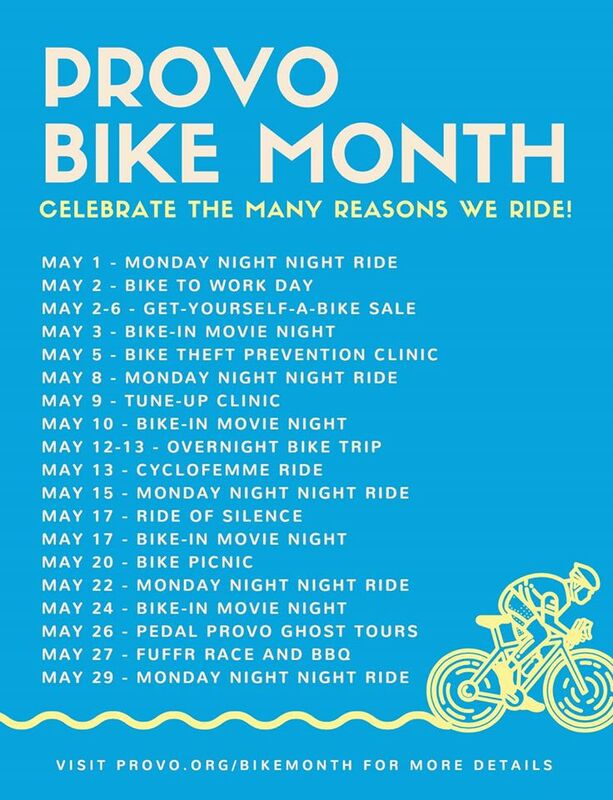 Take TRAX Green Line to North Temple Station, take Frontrunner to Provo, fetch bike from storage locker, bike to campus. …takes Frontrunner to the North Temple station, takes TRAX green line to airport, takes the 8:30 PM flight to the Burbank airport, takes Lyft home, arriving about 9:30 PM. …flies to LAX, takes the Flyaway Bus to Union Station, and takes Lyft home. Door to door her commute from her home in LA to her BYU office or vice-versa isabout 634 Miles, 5 & ½ hours. 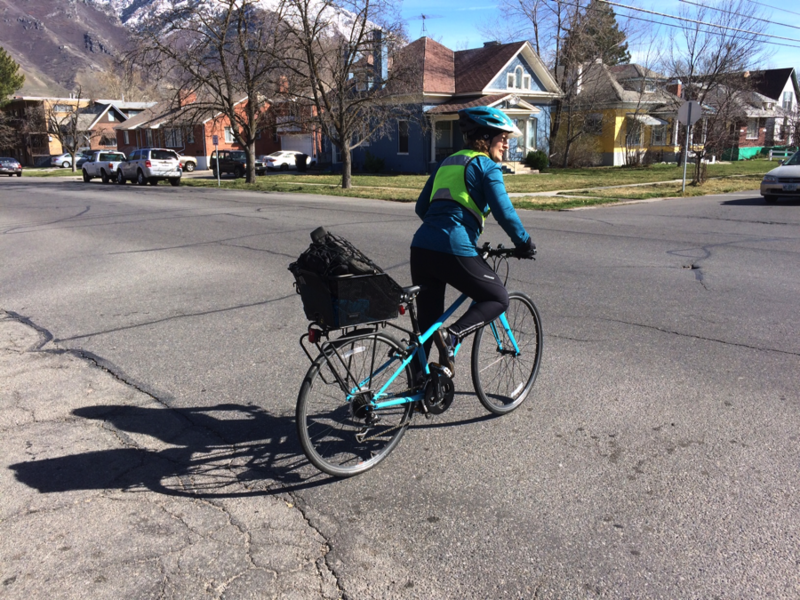 About her bike commute in Provo, Jenny says she appreciates the new bicycle-friendly intersection on 200 East across 300 South. 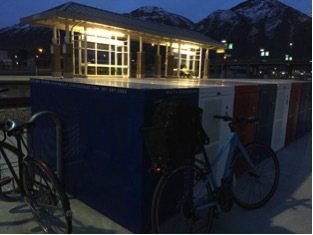 Her previous route from the Frontrunner zigzagged through Provo using 200 West, Center Street, and University Avenue, and it had some gaps in bicycle facilities and safety. With the opening of the new intersection, Jenny has switched to a route using the much safer L-shaped route up and down 600 South and 200 East, which is being transformed into a bicycle boulevard and provides a great route between the Frontrunner Station and BYU and destinations in between. 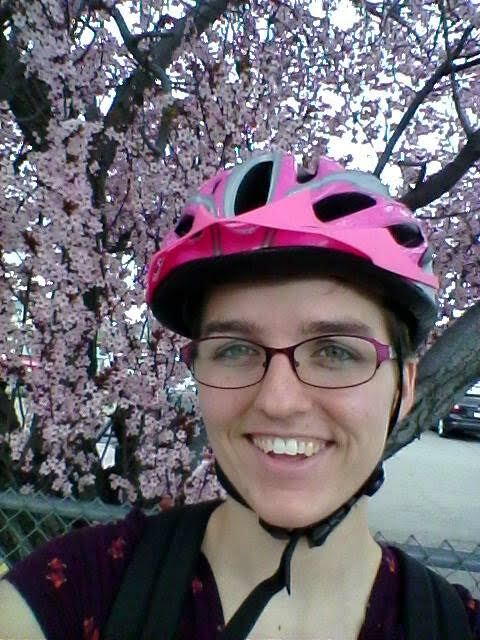 Jenny said her favorite segment of her commute is definitely the bicycling portions. She gets some exercise, enjoys the fresh and sometimes frigid air, and relishes the more intimate interaction with her surroundings. Jenny is not alone. Researchers at McGill University in Montreal (another place with frigid air!) found that bicycle commuters to campus were more likely to arrive on time AND be energized than people who used other modes of transportation. 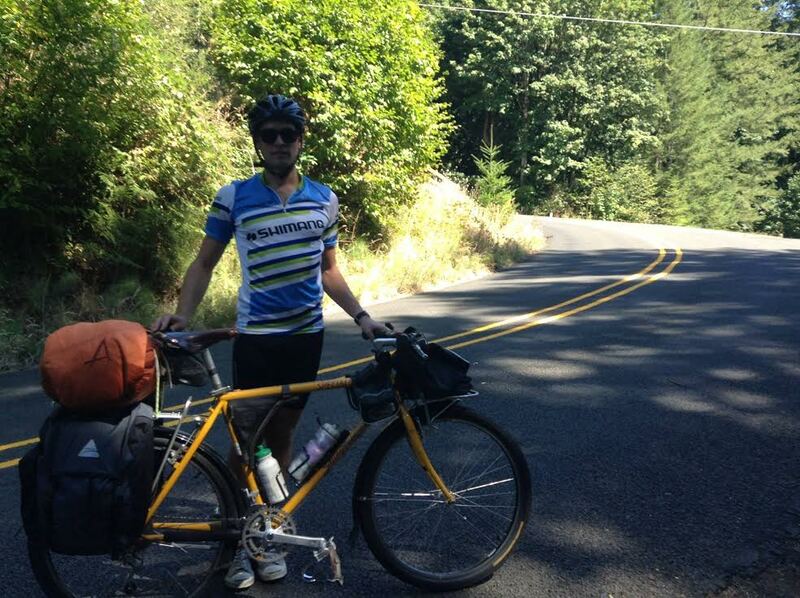 Many bicycle commuters will willingly share plenty of personal experiences that support such research. So wherever you live, far or near, warm or cold, why don’t you try it? Like green eggs and ham, if you but try it, you will surely like it—anywhere and anytime. I attended a breakout session for the county I live in. 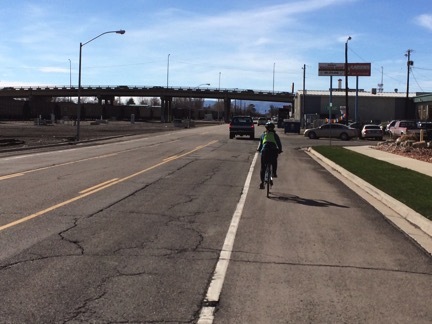 I was impressed that UDOT is more than happy to hear and assist with enhancements for bike friendly roads. While funding is limited, UDOT asks local governments to include them in their planning because when they work together, they can incorporate enhancements into planned projects. When they are not involved with community planning, the community will either not receive assistance with their projects and have to fund 100% of that project or they will not complete that project because of lack of funding. They are true planning partners for bike friendly communities and communities who want to become bike friendly. Additionally I saw a planner from the US Forest Service in attendance. This suggests that the USFS is may be a potential partner for bicycle accommodations in and around Forest Service properties. 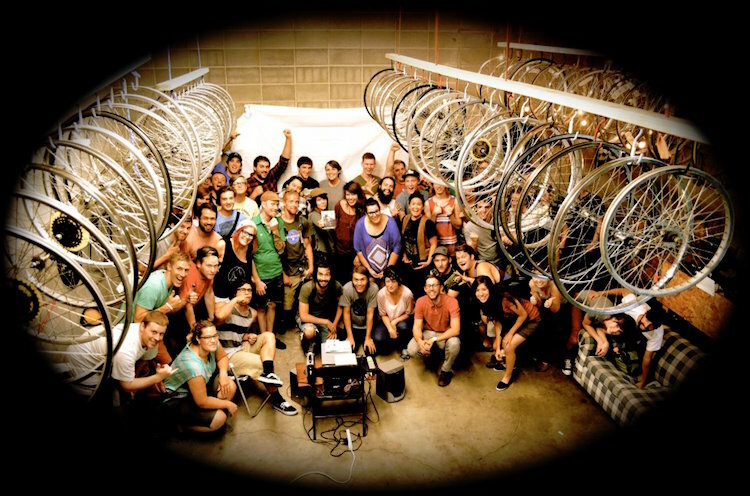 It is obvious that it is in the bike community’s best interest to involved. Partners in their ideas and projects to get the most bang for the buck. Great conference. 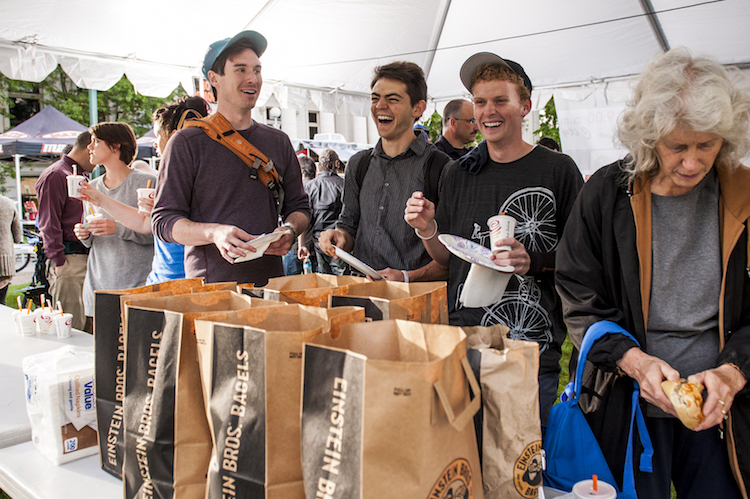 Whether you are an engineer, a health specialist, or a bicycling enthusiast, the Utah Bike Summit has something for you! I enjoyed both the breadth of the discussions and presentations. 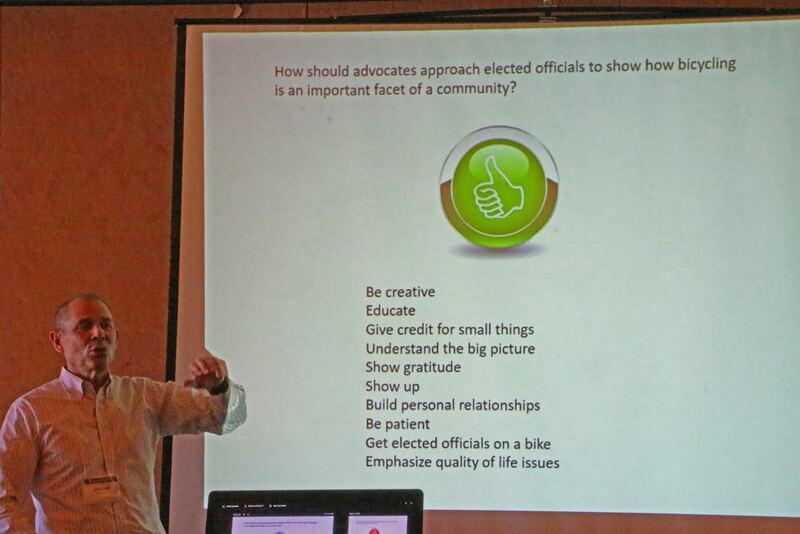 The two things that will stick with me the most were the Mayor John Curtis’ presentation about working with elected officials and a presentation about tactical urbanism by Mike Lydon. Mayor Curtis focused on the importance of becoming friends with public officials. Before you approach them with an idea, conduct research to find out what has been tried before. You don’t want to recommend something that was already attempted unsuccessfully! 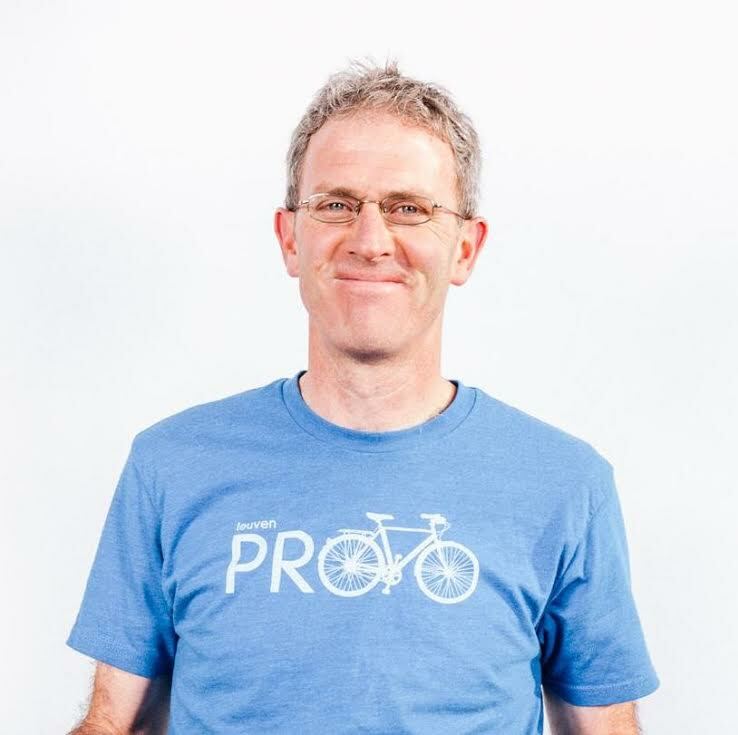 Start the conversation off by complimenting the elected and city officials for the things that they have done to help the bicycling community instead of demanding to see the changes you want. Then, clearly state the things you would like to see happen. Mayor Curtis also suggested thinking outside of the box: it’s quite likely they haven’t regularly ridden a bike since they were a teenager. 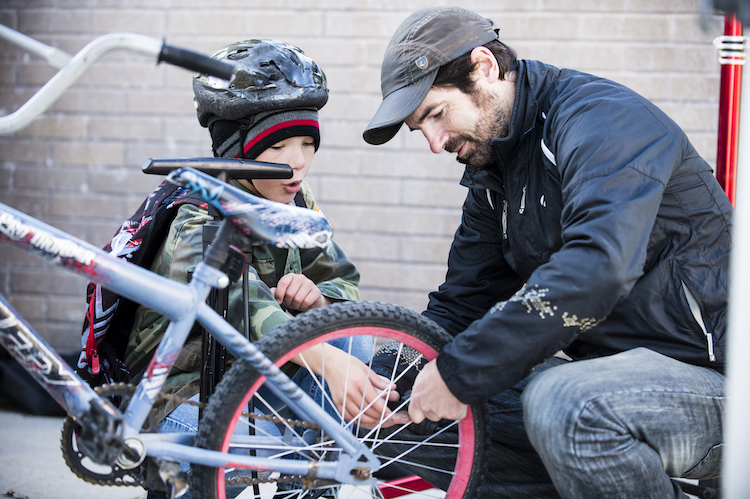 Invite them to go on a bike ride or test ride a new bike from a local shop. Emphasize quality of life issues and how safer roads will strengthen the community. Mike Lydon was the summit’s keynote speaker. He is an urban planner from New York City who specializes in “Tactical Urbanism.” This was a subject I knew very little about before the summit. Essentially, it’s a technique to make cities more people-friendly! They’ve done everything from widening bike lanes to turning parking into park space. He also talked about how typical people can get started doing projects like this. 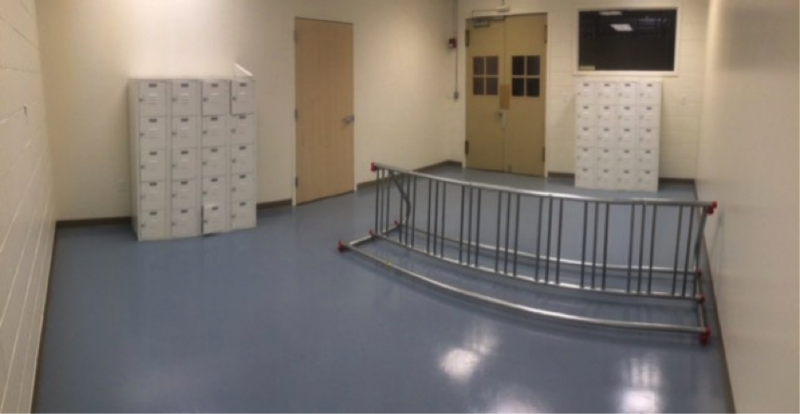 As a matter of fact, the Utah Department of Health has opened applications for a mini-grant! Is anyone else ready to apply? Let’s keep changing Provo! Bike on! The Utah Bike Summit 2017 was a great reminder of why we advocate for cycling. 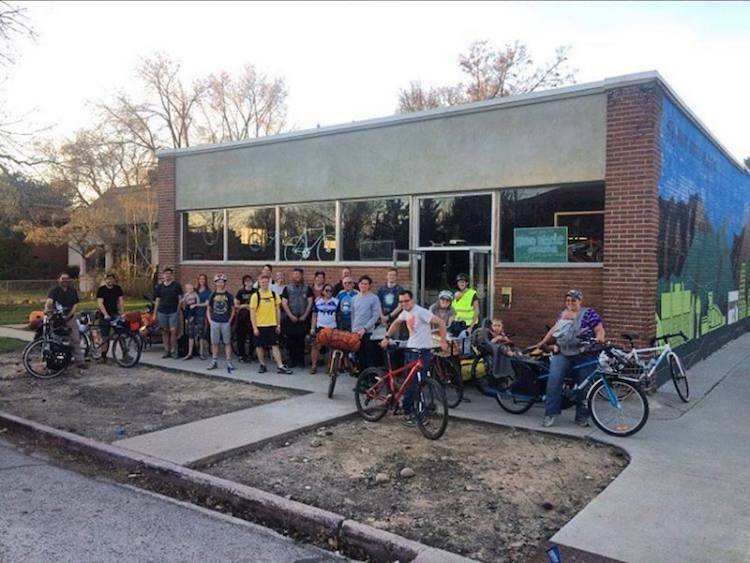 It’s always reassuring to see changemakers come together to share strategies and partner up to make Utah a more bikeable state. My favorite part was hearing from Carlos Braceras, Director of UDOT. He shared with us a story of retrieving the bike he had as a kid at his mother’s house when she passed away not long ago. He shipped it home and restored it because of how much it meant to him; he even tried to convince his wife to let him hang it on the living room wall – to no avail. He then proceeded to update us on some UDOT projects and told us how now 9 out of 10 people in Utah live in an urban environment, making biking, walking, and transit ideal modes of transportation. In 35 years, Utah’s population will likely double and Carlos assured us he’s not hoping our miles of road will. Above all, I’m pleased to see that many are rallying for the cause. Mayor Curtis once told me that we have a winning cause, and I’m happy to be on the winning team fighting for active transportation. 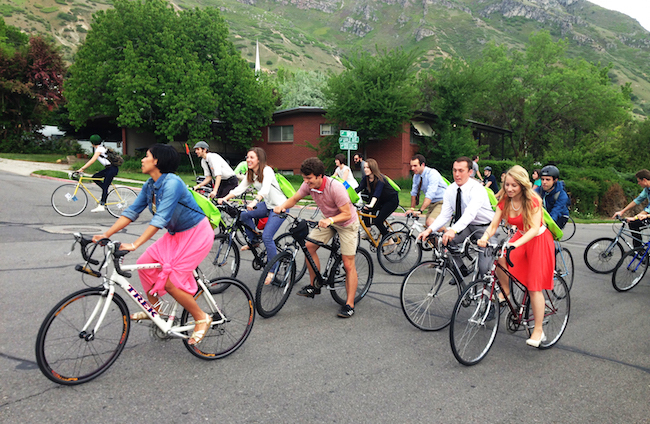 UDOT, from its top echelons to its regional offices, is an agent of bicycle-friendly change. 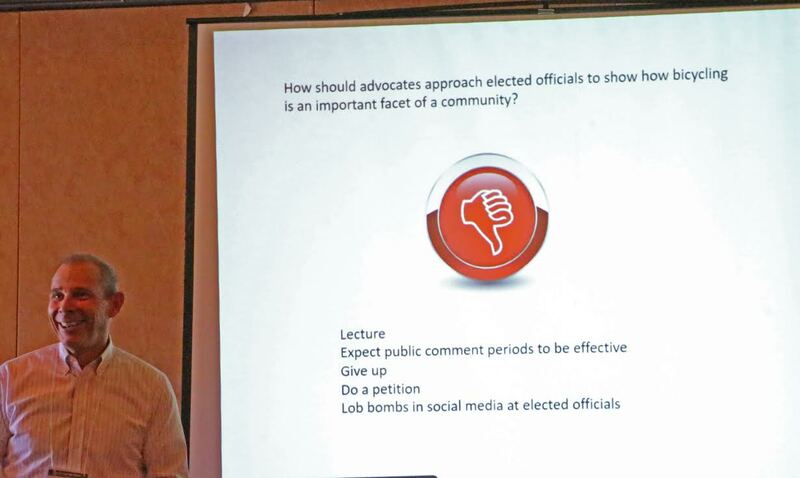 UDOT Director Braceras’ presentation and the breakout sessions in which each regional office met with its local partners amply illustrated that. Much of the talk the Region Three session was about how their team has very effectively worked with Provo officials and advocates on projects such as the North University buffered bike lanes and 300 South bike lanes and bike-friendly intersection. 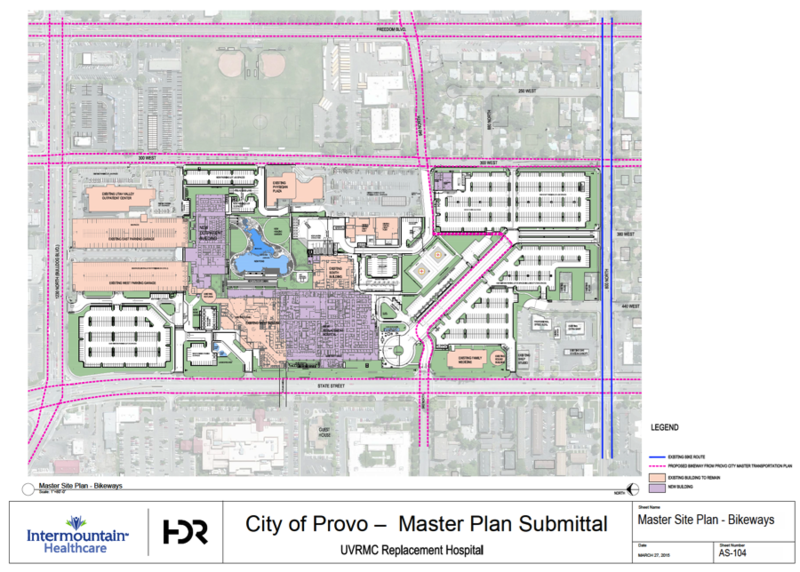 More projects like the Bulldog Blvd protected bike lanes (2018), the Provo River Trail extension (2019), and bikes lanes on 500 West/State Street (2019?) are in the pipeline thanks to this partnership. Provo is regarded as a model. 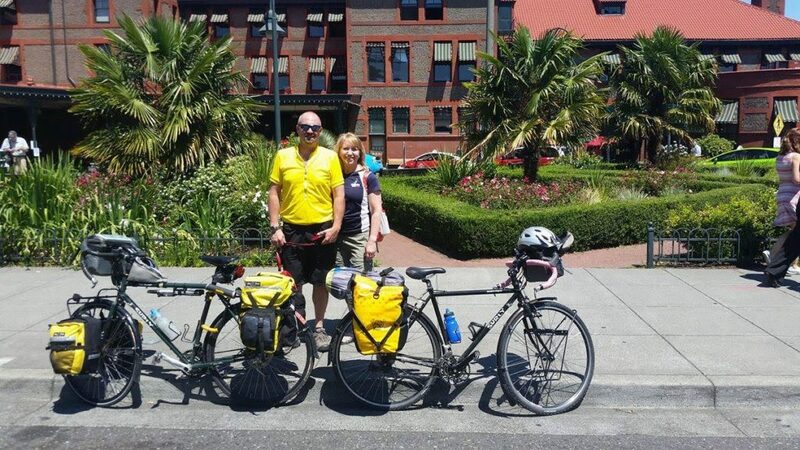 Braceras gave a shot out to Mayor Curtis as a “visionary” for his support of active transportation and transit. And the room was packed for Mayor Curtis’ presentation. Public outreach in the form of tactical urbanist demonstrations should be a part of very major active transportation project to educate and build support for change. 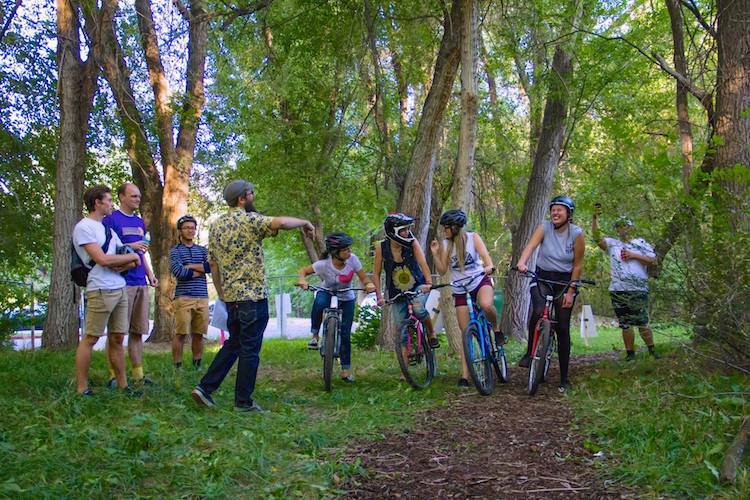 After Mike Lydon’s keynote, the Utah Department of Health announced a mini-grant opportunity to engage the public with new active transportation ideas. 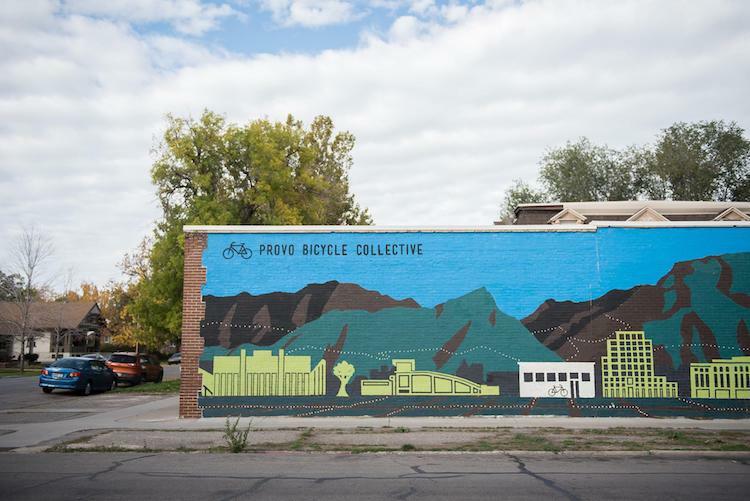 The Provo Bicycle Committee plans on applying for one of these to use for a project already in the works or for another one we would like to see happen in the next few years. In short, the summit offered lots of ideas to put into practice to make Provo and Utah County an even better place to live.